(April 5): U.S. stocks were little changed on Tuesday, as investors stayed on the sidelines ahead of the first-quarter earnings season and fretted about President Donald Trump's ability to deliver on tax reform and other promises. Investors also focused on a potentially tense meeting between Trump and Chinese President Xi Jinping set for the end of the week. Retail stocks swooned after downgrades and a Ralph Lauren announcement it was shutting its flagship Fifth Avenue store in New York and cutting jobs. "We're sitting on the sidelines waiting for earnings to begin in earnest next week," said Kim Forrest, senior equity research analyst, Fort Pitt Capital Group in Pittsburgh. 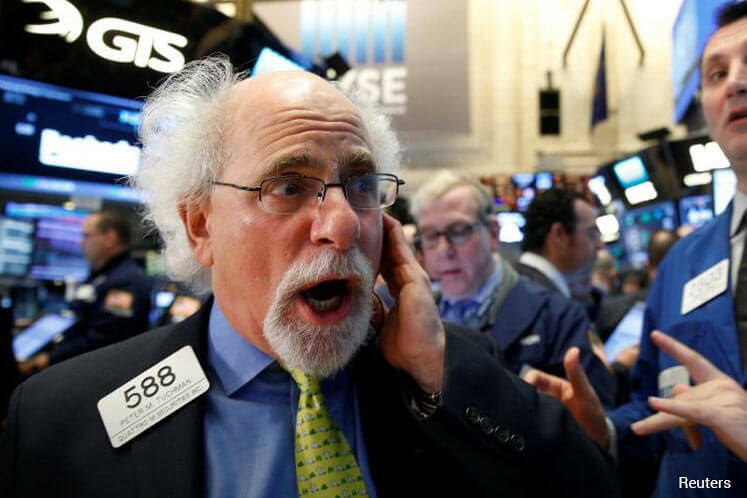 The Dow Jones Industrial Average rose 39.03 points, or 0.19 percent, to 20,689.24, the S&P 500 gained 1.32 points, or 0.06 percent, to 2,360.16 and the Nasdaq Composite added 3.93 points, or 0.07 percent, to 5,898.61. While Trump's pro-business policy promises have helped U.S. equities hit record highs since the Nov. 8 election, recent setbacks in pushing reforms through Congress have led investors to question his ability to deliver. Even if earnings are good, Phipps said, stocks may still be overvalued without the substantial tax cuts the market has already priced in. "The only way you can justify price earnings multiples is if you assume you get corporate tax reform," said Robert Phipps, a director at Per Stirling Capital Management in Austin, Texas. Phipps said he will watch the Trump-Xi meeting closely for news on North Korea and China-U.S. trade relations. "There's a lot of waiting until Friday. The payroll numbers and the meeting with China's Xi." "The elephant in the room is Washington. Right now its all about politics." Stocks saw some support earlier in the session when Trump said U.S. infrastructure spending could top $1 trillion and said his administration was working on a major "haircut" for Dodd-Frank banking regulations. The S&P industrial sector ended up 0.2 percent while the materials sector closed up 0.4 percent. Financial investors appeared skeptical, however, as the S&P bank subsector ended down 0.3 percent. Ralph Lauren shares fell 4.5 percent to $77.74. The retailer's struggles were seen as a worrying sign for a sector losing ground to online rivals. Nordstrom Inc closed down 5.5 percent, while L Brands Inc fell 4.4 percent after a brokerage downgrade. Airlines were weak, with American Airlines dropping 3.7 percent to $40.90 after rival Delta Airlines Inc cut the forecast for a key revenue metric for the second time in less than a month. Delta shares fell 2.6 percent to $45.11. About 6.2 billion shares changed hands on U.S. exchanges, compared with the 6.8 billion daily average for the past 20 trading days, according to Thomson Reuters data.